*But be quick this code is only valid until Thursday! Simply enter the discount code: "SUKI10" at the checkout to apply the offer. Explore our range of loose leaf tea and stock up this February! 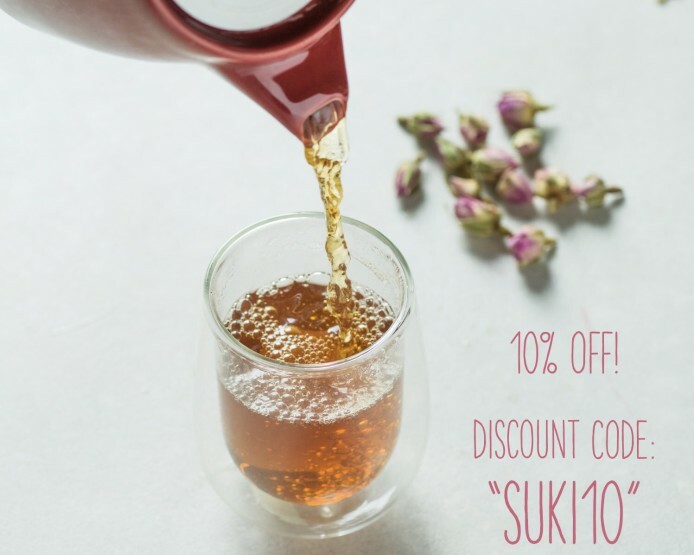 That means there is 10% off the ever popular Keep Cups (making them less than £15) or what about treating yourself to that stump teapot you've had your eye on? Or are you feeling the heat and ready to give our Iced teas a chance?? Plus you'll get free UK delivery on all orders over £40! Sure why not! *But be quick - this 10% off code is only valid until Thursday - expires midnight 28.02.19.